This fixed the "click" noise that I had from the driver's seat when going around turns, etc. 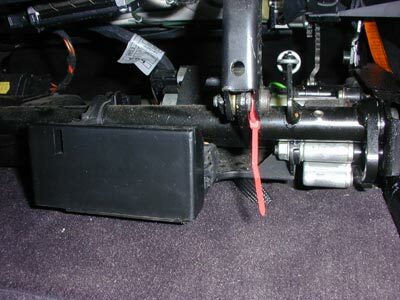 You're looking under the front right side of the driver's seat where a metal support connects to the rod which rotates and raises/lowers the front of the seat. 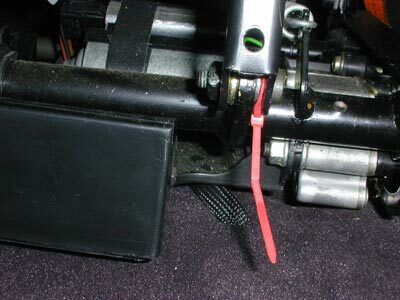 Excess play at this point was allowing the seat to shift slightly against the shims and other small retainers making the clicking noise. 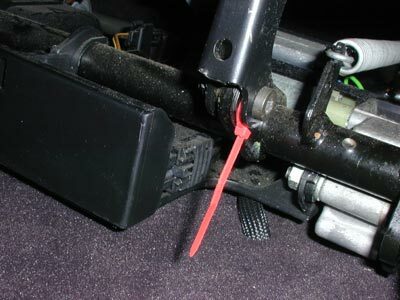 A small zip tie inserted at the outside of the shim and pulled tight so that it slipped down into the gap was enough to take out the play and completely eliminate the noise. Worked for mine. Might give it a try before going to greater lengths.